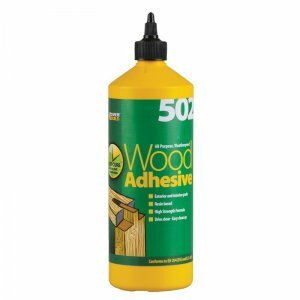 D4 Wood Adhesive is a solvent free industrial grade wood adhesive based upon hybrid resin technology. 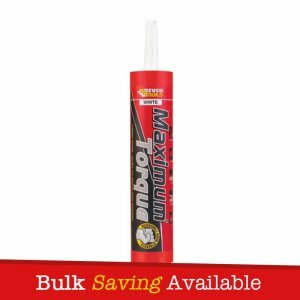 Can be used internally or externally, gives a high strength, totally waterproof, impact and temperature resistant bond. Dries clear, sets in 10 minutes. Box quantity – 12. Colour available – White. 1 Litre each. 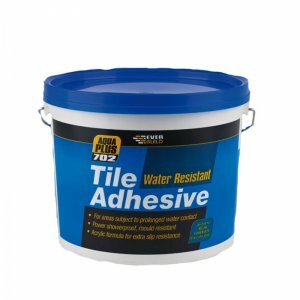 Everbuild D4 Wood Adhesive is a solvent free industrial grade D4 wood adhesive based on the latest hybrid resin technology. 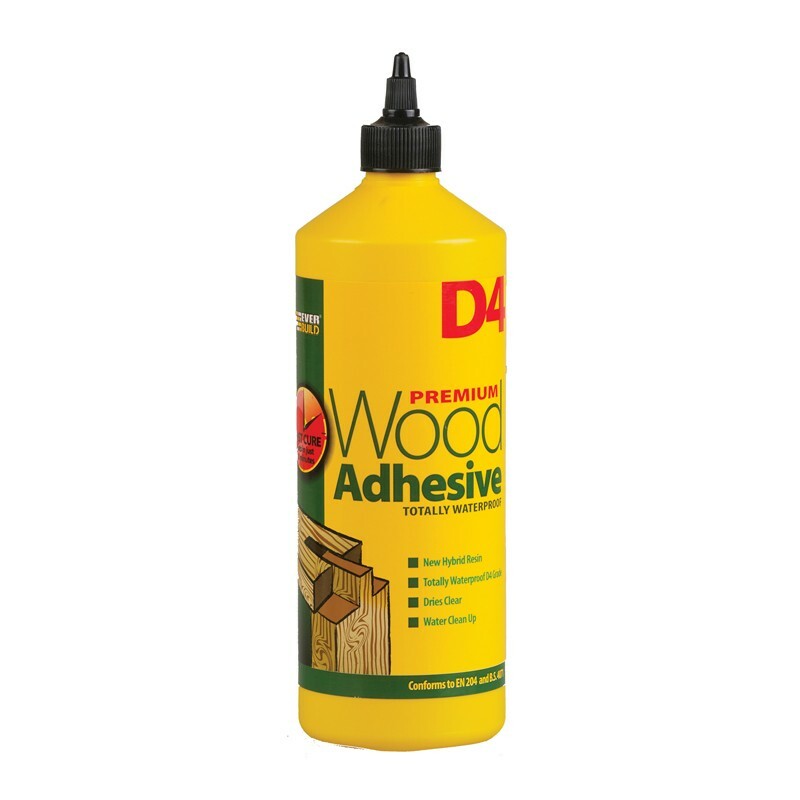 The result of several years work, D4 Wood Adhesive provides the user with a waterproof D4 grade wood adhesive with none of the safety issues associated with conventional isocyanate containing (polyurethane) D4 grades. D4 Wood Adhesive can be used internally and externally and gives a high strength, water, impact and temperature resistant bond that is usually stronger than the wood itself. 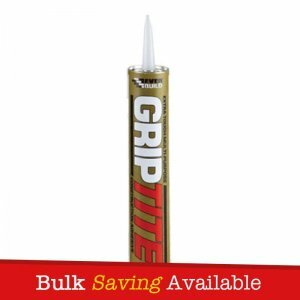 Ideal for all general woodworking and joinery uses, assembly line work, RF/HF cure systems, wood on wood laminating, furniture assembly and household DIY use. Dries clear. Easy water cleanup. Conforms to the international standards EN 204 (D4) and WATT 91. Independent test certification is available on request. 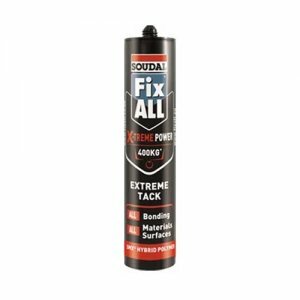 – As a general woodworking/joinery adhesive. – General assembly line work. – RF/HF cure systems, wood onn wood laminating, furniture assembly and household DIY use. – Excellent rate of bond strength development. 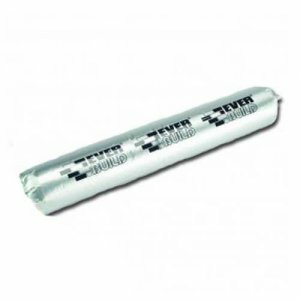 – D4 Water resistance, suitable for constant water immersion. – Low timber staining characteristics – Will not stain. – Water based – Environmentally friendly/easy clean up. – Suitable for radio frequency cure.